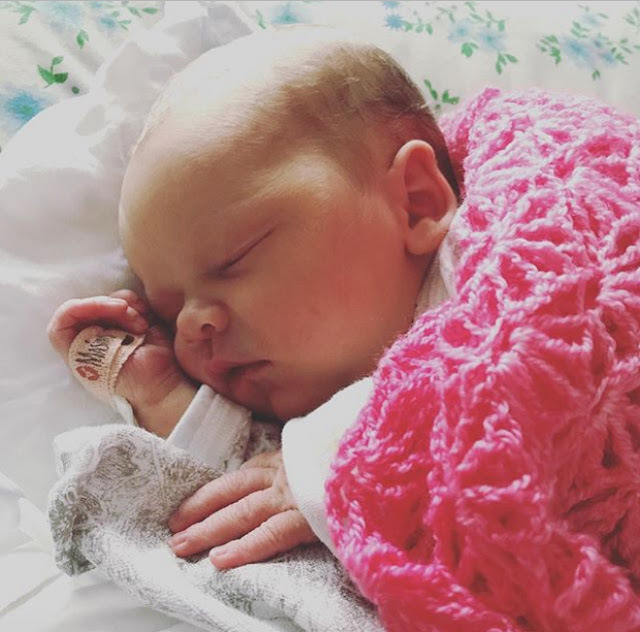 As some of you might know, I was expecting our second baby this year, and I'm so happy to announce that Rowan Anne Gretchen made her early arrival on Wednesday last week. Everyone is home and doing well. 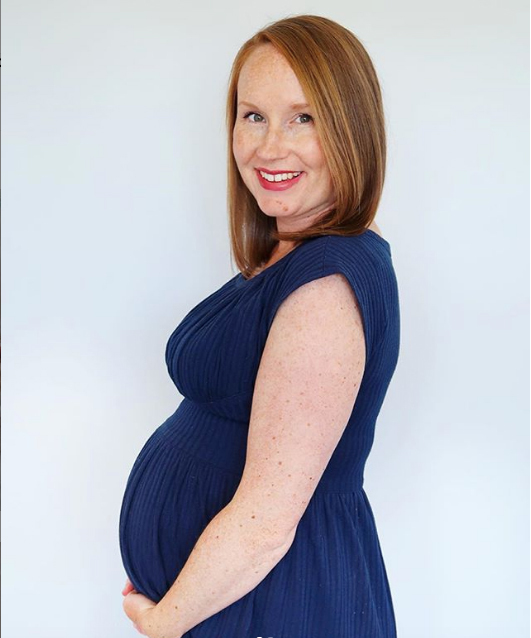 I will be taking maternity leave until the 22nd of July, but I do have some blog posts scheduled and emails will be checked regularly until I return. Please accept my sincere apologies if replies take a bit longer than you're used to from me though, I'm sure you all understand. In the mean time, I'll be enjoying some baby snuggles and popping onto Instagram on occasion to see what everyone is up to. It's that time of year, I'm going to be taking a little break over the next few weeks. I'll be checking urgent emails from the 31st December NZDT, but will be back to full steam the week of the 7th January NZDT. 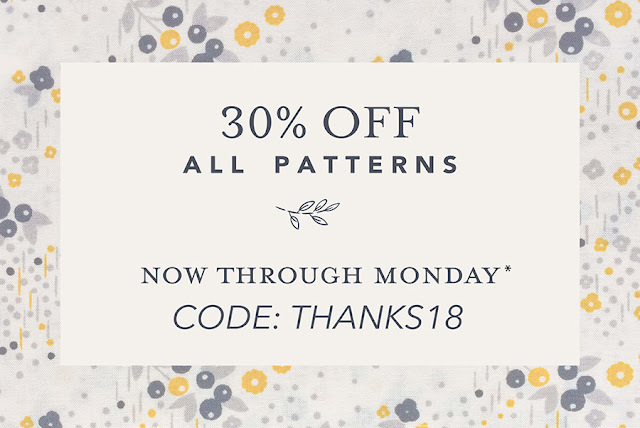 The Shop will remain open during this time, so you can still purchase any digital patterns. What a year 2018 has been! I hope you manage to take a few days off over the coming weeks, and I'll see you all properly next year, for lots of exciting new things. 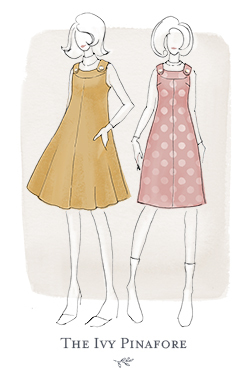 The Final Countdown...get your paper Sorrel, Pippi & Juniper patterns! It's nearly at an end! There is less than a day until my paper pattern campaign finishes and the real work starts. 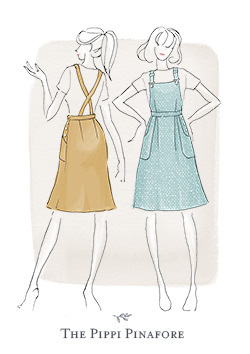 If you've had your eye on the paper Sorrel Dress (or Pippi Pinafore & Juniper Cardigan), now's the time to jump on over to the campaign page and pledge your support. By pledging now, you'll get your paper patterns at the special campaign price - they'll retail for $18 USD once released in mid-2019 (you're getting them for approximately $14 USD) and you'll also have them before anyone else. The goal is to start sending them mid-March next year, but they won't be available to the public until the middle of 2019. Maybe Sorrel isn't your thing, but did you know the campaign was so successful that I added Pippi and Juniper paper patterns into the print run? You can order your paper Pippi and/or Juniper through the campaign page for the special campaign price and get your patterns sent to you before anyone else. Simply scroll down to find the relevant reward on the pledge page. If you've already pledged but would like to add extra rewards, you'll need to update your total to reflect any extra rewards you'd like to add. Once the campaign has finished, I'll send you a survey and you can let me know all of the additional rewards you pledged for, plus any additional shipping if required. 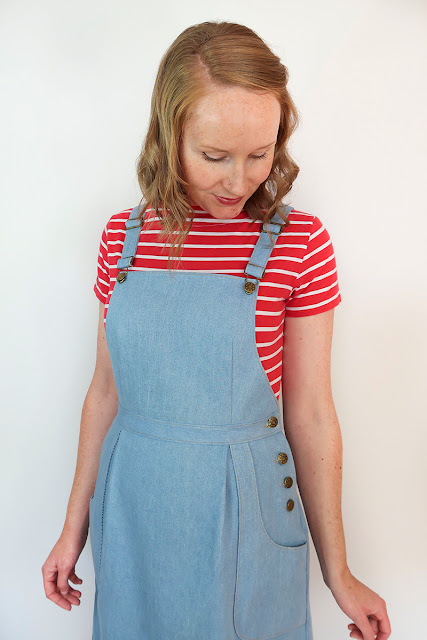 For example, if you want a Sorrel Dress pattern set with mini scissors, plus a paper Pippi Pinafore, simply add the Sorrel reward set to your pledge and add on an additional $20 NZD for the paper Pippi pattern. 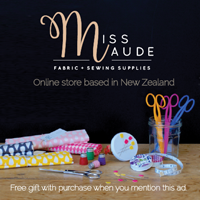 If you're pledging for 3+ paper patterns, please add an additional $7 NZD worldwide shipping (or $5 within NZ). If you're confused about anything or would like an exact amount that you need to pledge for additional rewards, please just send me an email or a message through Kickstarter (you might want to do that soon because I'll probably be asleep in the last hours of the campaign closing). 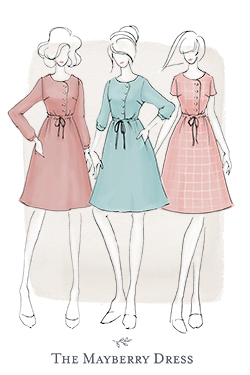 We're now in the final week of the Sorrel Dress paper pattern campaign! 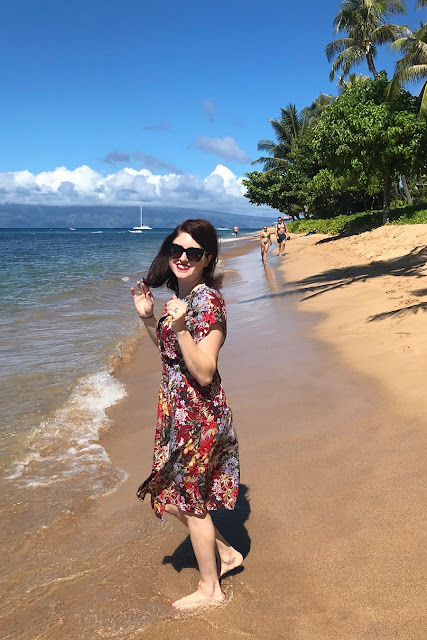 Today, as promised, I wanted to share a little tutorial on how to turn your Sorrel Dress into a beautiful, breezy dress. I know that many of you are currently in the depths of winter, but come March/April, when your paper patterns start to arrive, you may be starting to think about all things spring. And of course, for those of us who are meant to be in the depths of sunny, warm weather, when you receive your digital Sorrel's at the start of December, you'll be able to hop right to it! 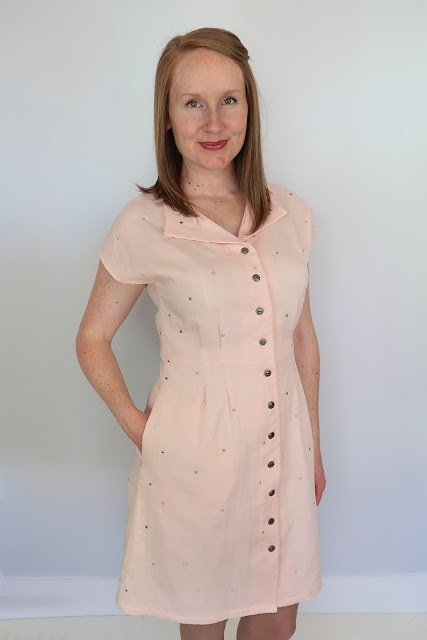 In this tutorial, we don't sew the front bodice darts in, just the back ones. 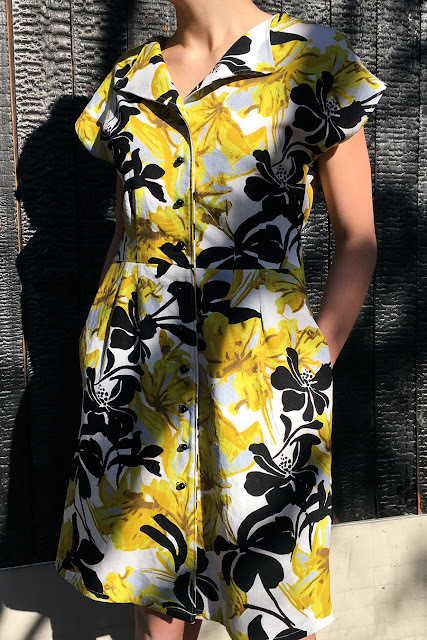 This leaves you with a lightly fitted dress that is perfect for the beach or for layering with long sleeves underneath (teamed with boots and a little cropped cardi of course!). All pattern alterations assume seam allowance has been removed, unless noted. 1. Sew up bodice as per the instructions, leaving the front bodice darts free (i.e don't sew them in!). I added an additional 7cm to my half patterns (so 14cm total to the back & 14cm to the front) on the sample pictured for a lightly gathered look. You may choose to have more or less, it's totally up to you, just replace my 7cm (X) with your desired number. 1. 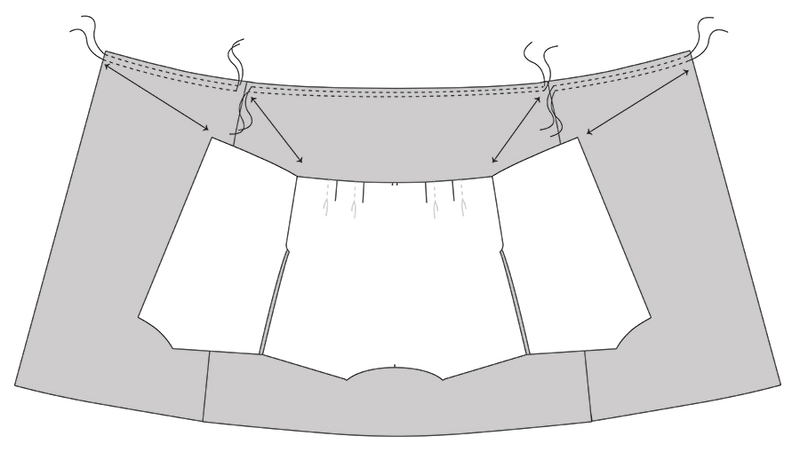 Place some spare paper underneath your back skirt pattern piece at the fold. 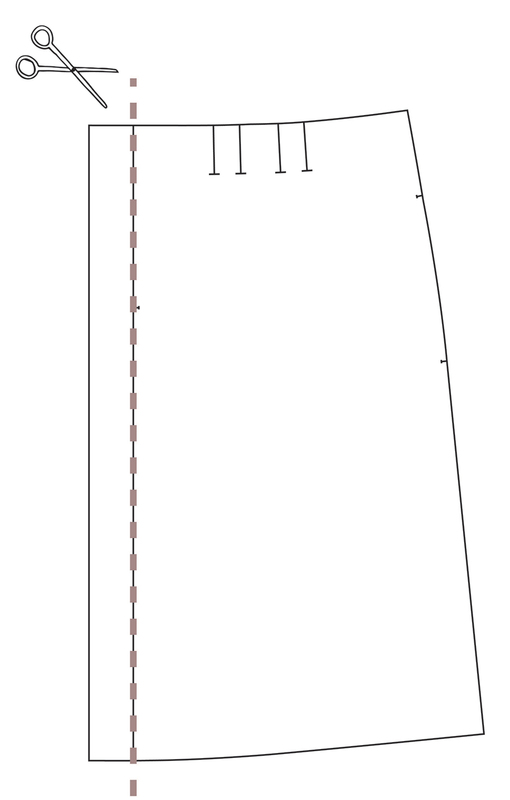 Add Xcm additional width to the centre fold for your skirt gathers. True up your pattern where needed. 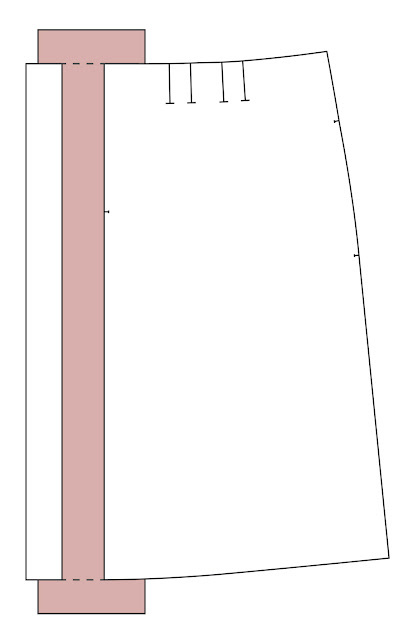 Depending on which cup size you fall into, will make a difference to the amount of extra width you want to add to your front skirt - we want your gathers to be proportionate all the way around - this is because the front darts are different widths depending on the cup size compared to the back (which stays the same across all cup sizes). If you're making View 2 with the grown-on button band, you can add your additional Ycm width from the 'band' inwards, so that the button overlap remains flat. Use the diagrams below to cut and spread your pattern. 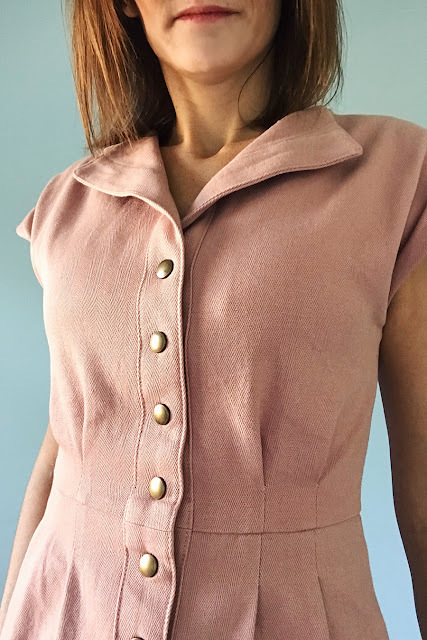 If you're making View 1, you can add your additional skirt gather width right from the centre front of the skirt piece, since the button band is added after the bodice and skirt are joined. 1. Cut down the View 1 cut-line on your front skirt pattern piece. 2. Place your spare paper underneath the cut pattern spread Ycm. Tape in place and true up your pattern where needed. 1. 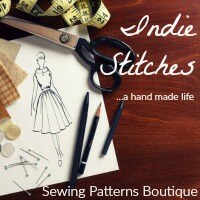 Attach pockets and stitch up side seams as per the original instructions. 2. 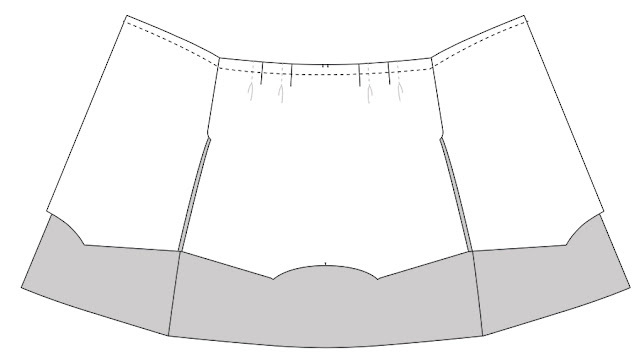 Place 2 lines of basting stitch along your skirt waistline, stopping 5mm (1/4") before you hit a side seam and starting again 5mm (1/4") after you've passed a side seam. 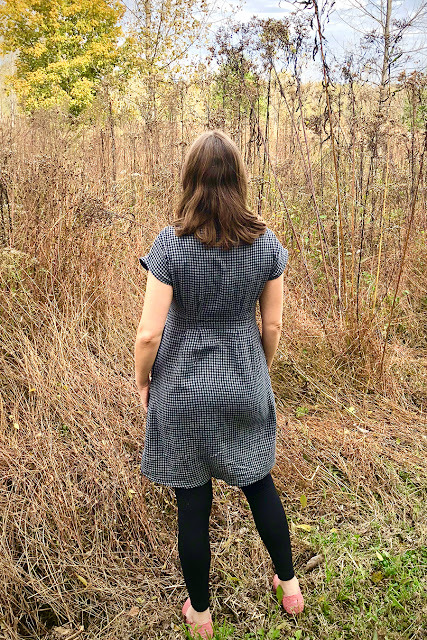 Use a 1cm (3/8") seam allowance for the first line and a 2cm (3/4") seam allowance for the second line (this will help you achieve an evenly gathered skirt) and make sure you leave long thread tails. 3. 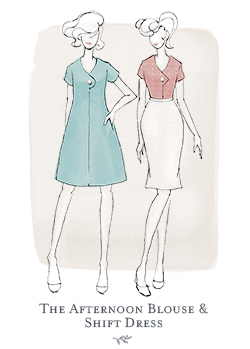 Right sides together, pin your skirt to your bodice at the waistline, matching front and side seams. 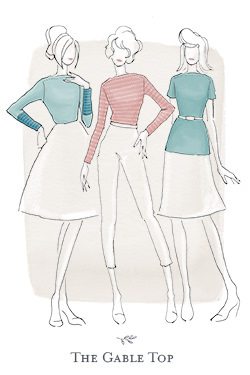 Gently pull your basting stitches to gather your skirt so that it fits neatly into your bodice. Tie threads in a knot and spread gathers evenly along the waist line, then pin in place. 4. 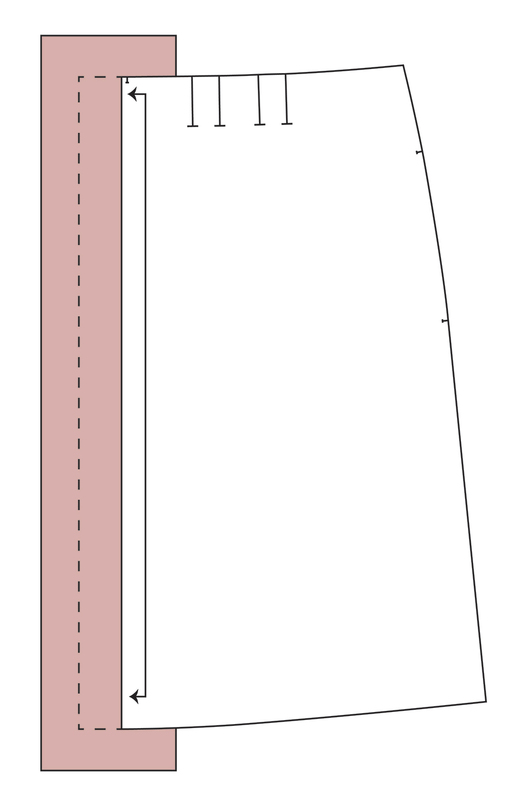 Attach skirt to bodice using the 1.5cm (5/8") seam allowance, back-tacking at each end. 5. Remove basting stitches from the skirt and finish waistline raw edge. Continue to make up dress as per original instructions. Another variation on this is to leave your front bodice darts in and take your back bodice darts out instead. 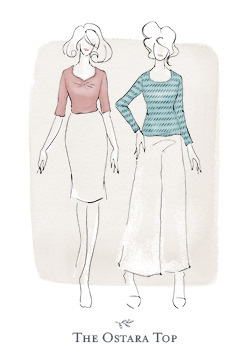 You could even add some waist-ties to the side seams for a relaxed, cinched in look. In fact, I might try that next! 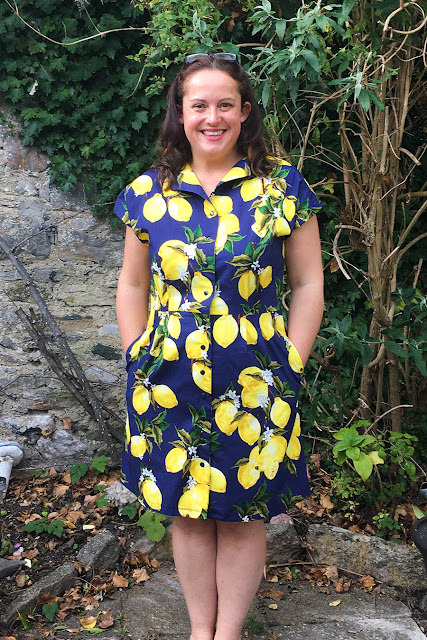 Ahhh, the final set of beautiful Sorrel Dresses from my Testers - I hope you've enjoyed seeing these just as much as I have sharing them. 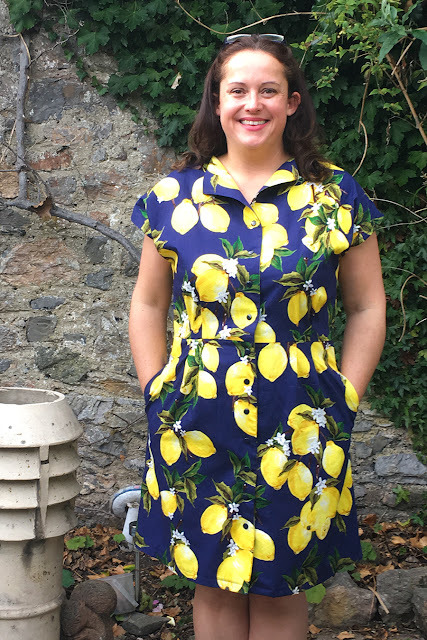 It's lovely to see such a big batch of dresses when a pattern is released, because it really showcases all the different ways a pattern can be made up and styled. If you'd like to catch up on the other three parts, you can find them by clicking on the links here: Part 1, Part 2 & Part 3. 1. What is your current favourite sewing technique and your current favourite fabric to work with? I currently LOVE blind hems - they just feel so couture to me (even though they're fairly simple once you get the hang of it). My current favourite fabric... it's so difficult to choose. I truely love anything with a lovely drape,but I get very frustrated with how many of them easily distort while working with them. But I do have a cut of Atelier Brunette that I have been drooling over forever - I can't wait to cut into that! 2. What features do you like about Sorrel? I love the style of the collar and the feminine shaping that the darts provide. 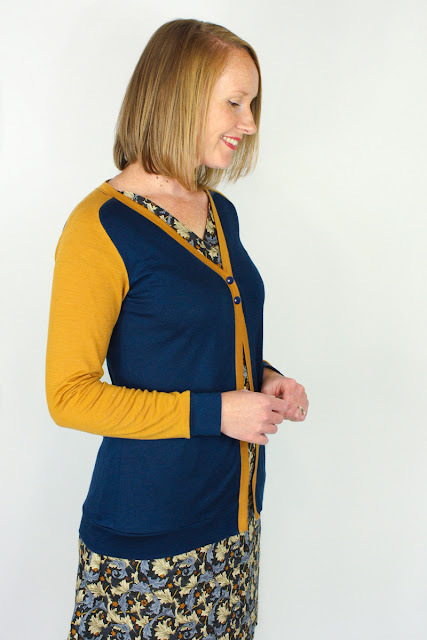 I feel this is quite a versatile pattern that could be worn dressed up, dressed down and in warm or cold weather. 3. 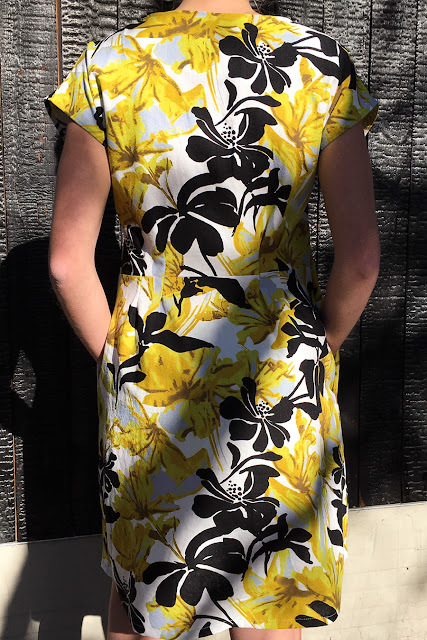 What pattern changes did you make to your particular dress? I shortened the bodice by 2inches and lengthened the skirt by 1 inch (I'm 5'3" with a shorter torso for reference). In making these adjustments, I also had to adjust the placement of the snaps to accomodate the length I removed from the bodice. I think I also need a swayback adjustment, which I've never done and did not do on this version, but I am planning to do it on the next one. 4. Who would you recommend Sorrel to? 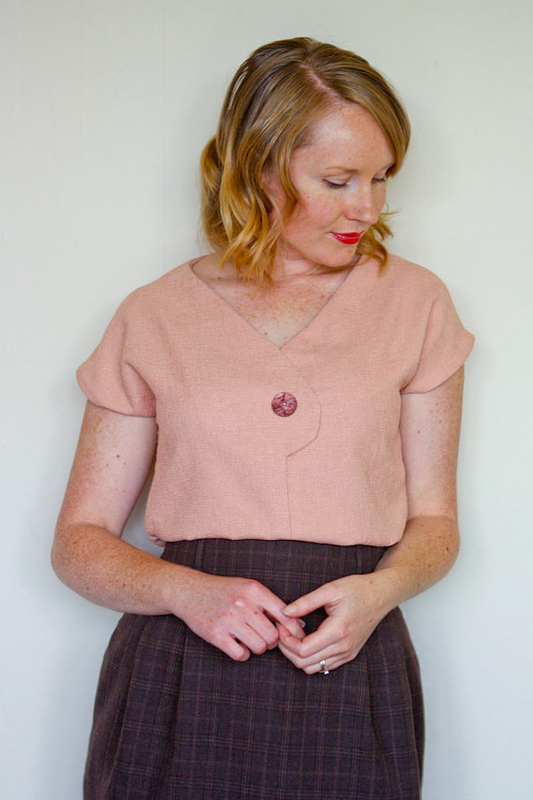 I think an advanced or adventurous beginner could definitely undertake this project - the instructions and illustrations are clear and even though there are buttonholes to deal with, there is no collar stand, no yoke and no set-in sleeves. 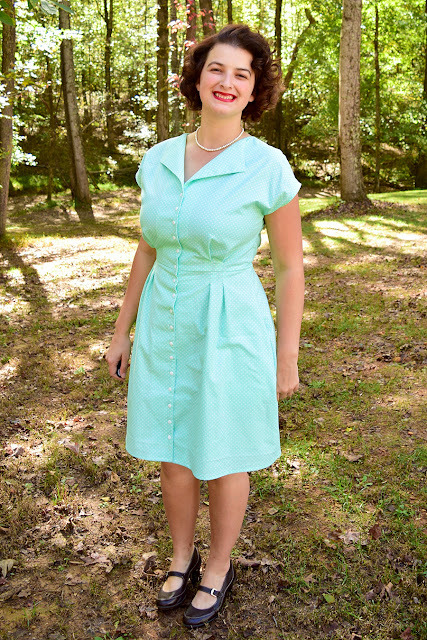 This is perfect for someone who has wanted to tackle a shirtdress but hasn't found the courage yet. I feel the style is classic and feminine while being versatile enough to suit someone who wouldn't typically wear a dress. I love making my own bias binding. It is a great way to use up scrap fabric and it can add a pop of contrasting colour where it is used. 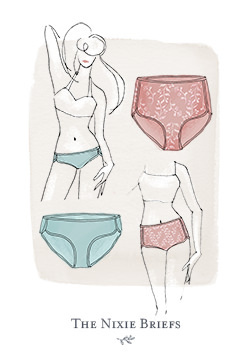 It is also a great opportunity to use much loved fabric more than once in a garment. Fabric wise, I am loving using linen or cotton linen blend. I live in a really humid climate and prefer to use fabrics that are light and breathe. I try to ignore the creases that happen. I love how the pleats give shape. It makes the dress feel both relaxed and dressy. Any excuse not to insert a zipper is also appreciated. 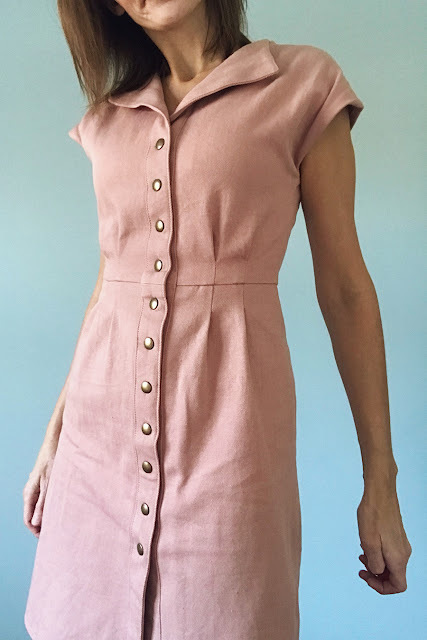 I used buttons from my stash - my khaki linen blend dress used buttons which used to belong to my grandmother and it adds a sentimental touch. I added an inch at the hips to accomodate my curvy backside. 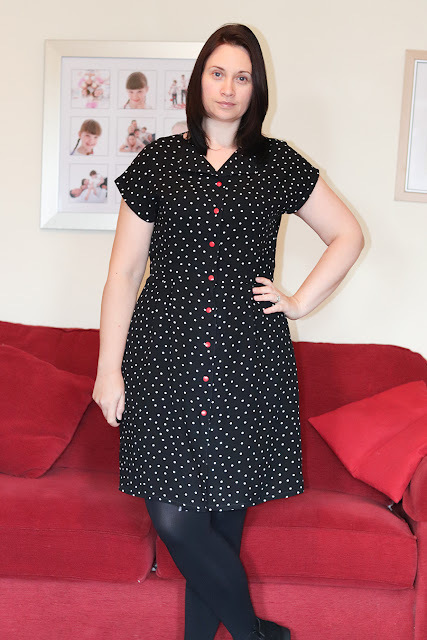 I also added about 15cm to the length to make it a middy length, which I find to be most flattering on me. I also used contrast bias binding I had made from fabric left over from a previous make to finish the sleeves and hem. Everyone! I like the versatility of the dress. I could wear it to work or on the weekend and I can dress it up or down. 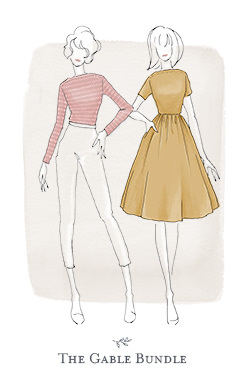 It has a classic silhouette which can be made to look more vintage or not, depending on how it is styled. I plan on wearing it with chunky earrings and sandals or with my while converse sneakers (I love the look of a dress with cons). My favourite sewing technique is inserting a lapped zipper (they are like magic!) or a fly front zipper. My favourite fabric to work with is wool, which is sad considering I live in Florida so I don't have much call to sew with it, lol. I'm also a big fan of the satisfaction I get from successful pattern matching, though I don't really enjoy the actual process much - but the results are worth pushing myself through the cutting! 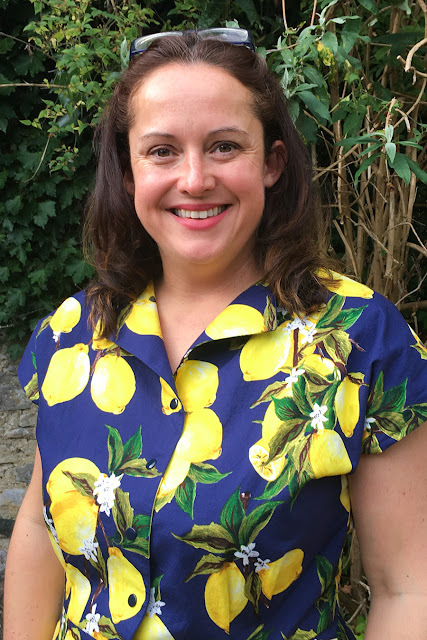 I like the button front and kimono sleeves - both things I've wanted to try for ages and never have! I always thought kimono sleeves would make my arms look big, but this pattern made a believer out of me. I really like how they look. 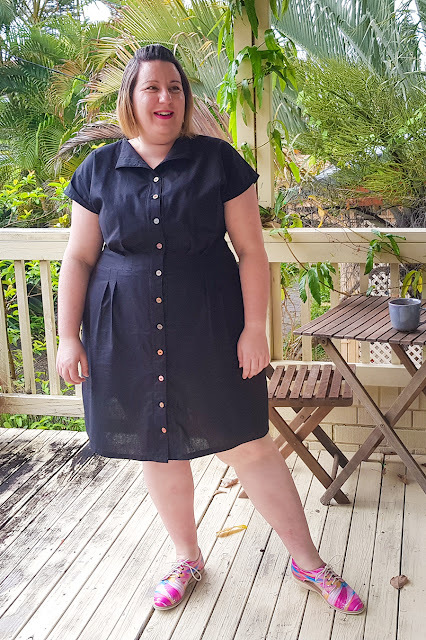 I also have no idea why I put off making a shirt dress for so long, especially since I've made button front skirts and tops many times. I also love that you have the option of a button placket or none - I personally love the placket look, but I think it looks nice either way. I added 1" of length to the bodice and extended the darts by 1" on the bodice and skirt. I also did my standard 1" forward shoulder adjustment to the bodice and facings. I added 1/2" to the side seams at the hips just to give a little more ease. In the end, I got the waist seam sitting on my natural waist, but I think the style would look better sitting slightly above. I did not want to unpick the entire finished waist, so I made a sash to cinch it in a bit. This helps the bodice to blouse up just a bit and bring the waist a little higher. I think this is a great pattern for an advanced beginner who likes a slight nod to vintage style. There really isn't anything particularly tricky about the sewing, but I find fitting needs to be accurate since it's a slimmer silhouette. If you are willing to make a muslin and take your time with the detailed instructions, I think anyone could make this dress. My current favourite sewing technique is adding snaps. I had awful trouble when I first started using snaps, but soon established that it was due to purchasing substandard pliers. Once I purchased some newer and more expensive ones, I wanted to add snaps to everything. I used antique brass ones on my Sorrel as the colour is just perfect for denim, which is my absolute favourite to work with. I can't get enough of it. 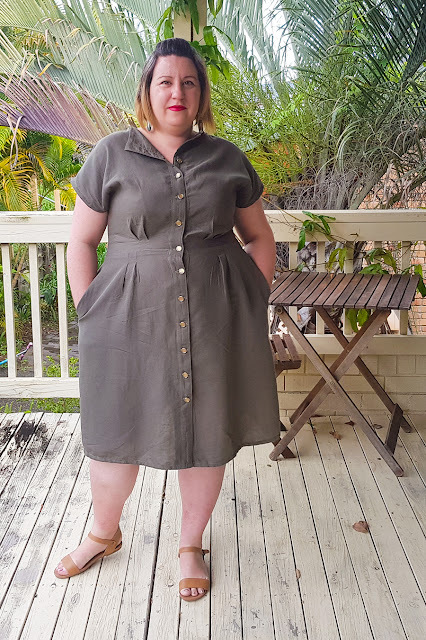 I really love the wide button placket on the Sorrel as I think it is a really nice feature and gives it a proper shirtdress feel. I didn't change anything. I made a size 6 with a C cup and my measurements are B33", W25" and H36" and the fit is perfect. I love the shape the tucks give and the slightly A-Line skirt. The only think I did differently was to use heavy weight fabric. I note the recommendations are for light to medium weight woven fabrics but I love the structure this fabric gives. I would recommend this pattern to a confident beginner with a couple of projects under their belt. The instructions are really clear, especially with regard to measuring yourself and picking your size. 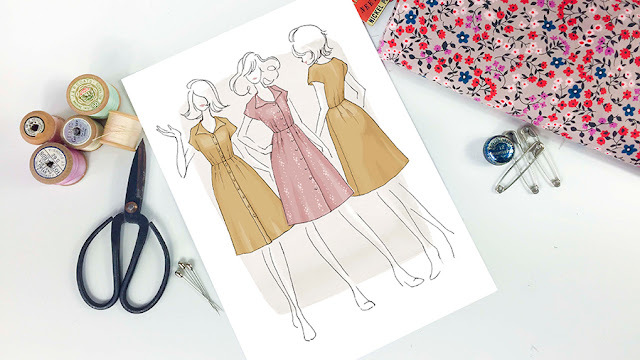 All steps are easy to understand and are accompanied by illustrations and you can even use snaps like I did if you are not confident with buttonholes. I love the vintage style and I think my versions has a nod to the 70s due to the denim like nature of the fabric I chose and the snaps. 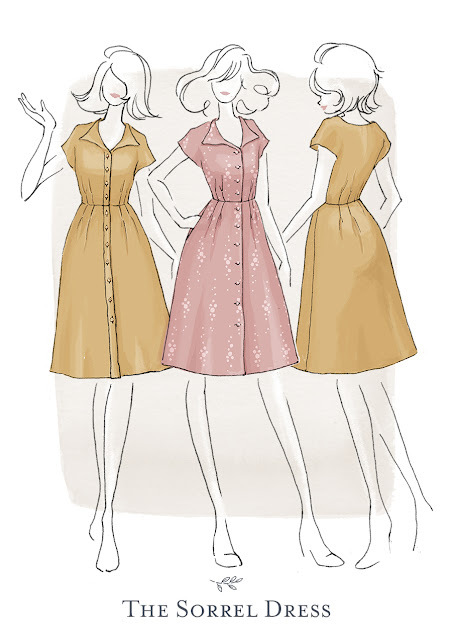 I would recommend it to anyone looking to venture into making dresses who like a vintage style. 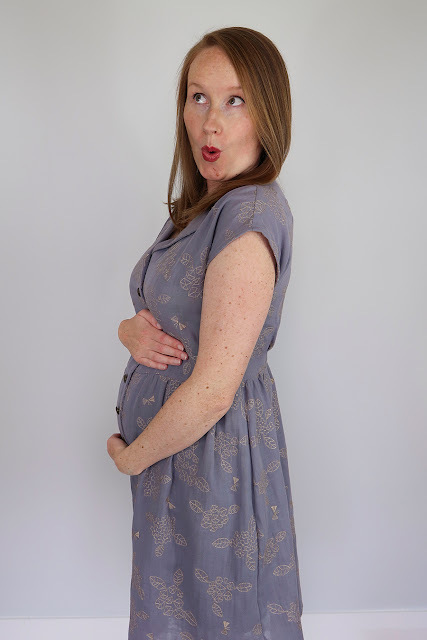 Thank you SO MUCH to all of my Testers - I really couldn't have made Sorrel the pattern it is today without all of your helpful feedback, thoughtful questions and the time and energy you put into making your dresses and letting me share them with everyone here. 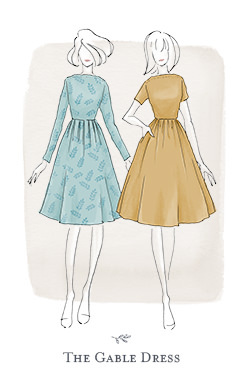 If you'd like to support the Sorrel Dress Paper Pattern Kickstarter Campaign, you can do so here. 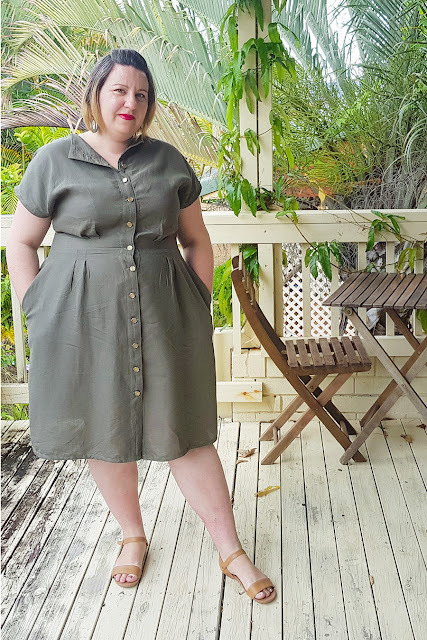 Next week I'll be sharing an easy tutorial on how to turn your Sorrel Dress into the breeziest, comfiest, lightly gathered shirt dress you've ever worn. 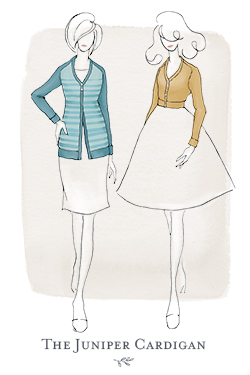 I can't believe that we're nearly halfway through November already... and just in case you missed it, now that we've hit the $8000 mark on my Kickstarter campaign, the Juniper Cardigan will now go into print along with Sorrel & Pippi! You can pick up a paper copy for just $20NZD + postage if you pledge through the campaign (it will retail for approx $26NZD or $18USD), and it means you'll get your paper copy earlier than it's retail release in mid-2019. Let's check out some more Sorrel Dress Tester makes shall we? You can see Part 1 here & Part 2 here. Ooh! Right now I am loving full, gathered skirts! 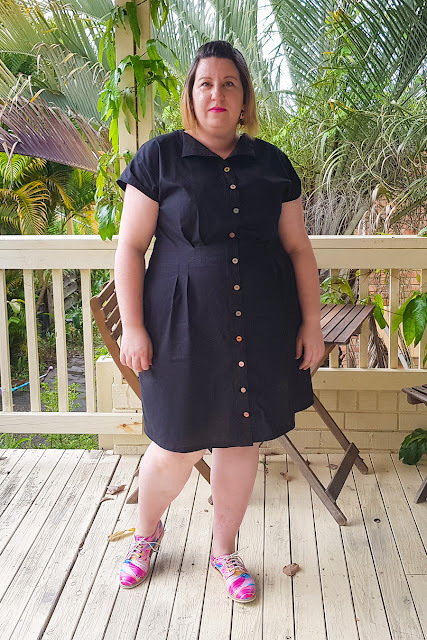 I went the longest time without using gathered skirts because I thought they didn't look flattering on me, but I realised that I just hadn't been using enough gathers. So, now I've been making several dresses with super full, puffy, gathered skirts. My all time favourite fabric is cotton poplin/quilting cottons. 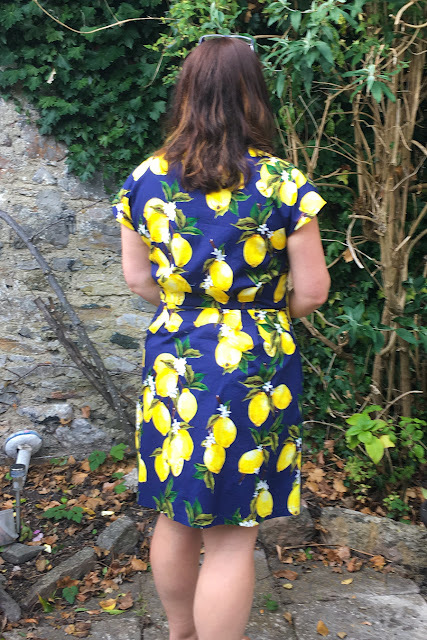 There is a fair amount of debate on whether quilting cottons are appropriate for garment sewing, but for the style of the dresses I make and wear on a daily basis, it's the perfect fabric. I almost exclusively work with cottons. It's an added bonus that the finished dresses can usually just be tossed into the washer/dryer. No faffing about with the line or flat drying. Open ended darts and grown on sleeves! 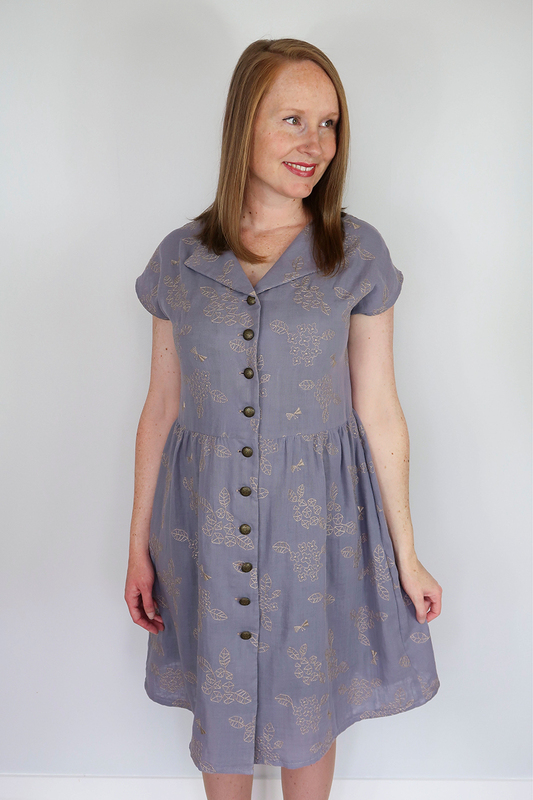 They are two of my favourite details when it comes to handmade dresses and they made sewing up Sorrel a breeze. 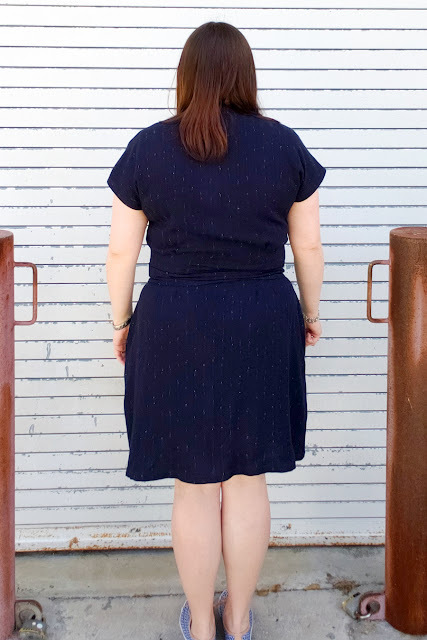 The only true adjustment I made was to grade from a size 12 to a size 22 at the hips. I dislike woven fabric dresses that are snug around the hips since it feels like they restrict my mobility. I probably could have gone with a size 18/20 but I wanted to make sure the dress would fit. I did reduce the bodice side seams to 1/4" because I needed just the tiniest bit more room across the bust to leave room for the overlap. I also increased the back bodice waist seam to about 1 inch instead of doing a proper sway back adjustment. 4. Who would you recommend Sorrel too? 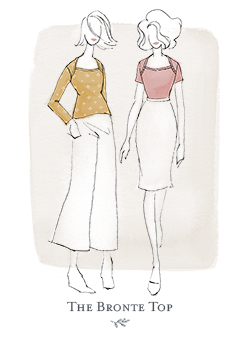 As far as dresses go, Sorrel is very simple. Yes, there are buttons/buttonholes, but that is literally the only semi-complicated section. And if you use snaps/snap buttons, you don't even have to worry about that! The open ended darts/pleats at the waist mean you don't have to worry about issues with pointy darts. There are not set in sleeves and cutting out the pattern/fabric is quite quick due to the small number of pieces and the dress only took me 3 hours to stitch up. I have always had a fear of darts, and then matching them up, but having completed a number here, I got into a good rhythm and am really pleased. They really do make a dress look so flattering. Fabric wise, I have been enjoying using floaty viscose for my first Sorrel and lots of people have commented on how lovely it is. It can be a bit slippery, but the results are worth it. On my Sorrel I love the button down front. 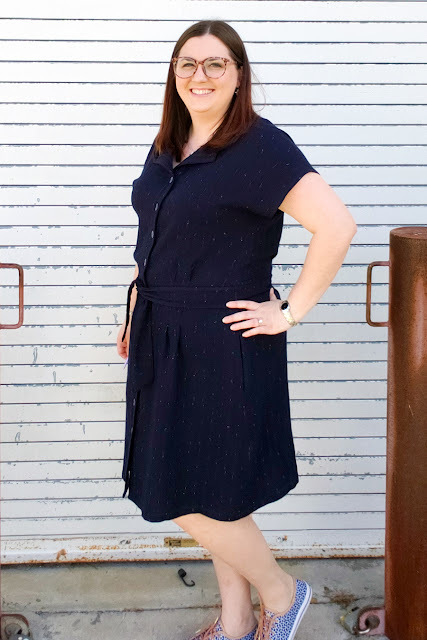 Many button down RTW dresses I find gape at the chest or middle, but this fitted me well. I haven't had a well fitting button down dress for a long time. 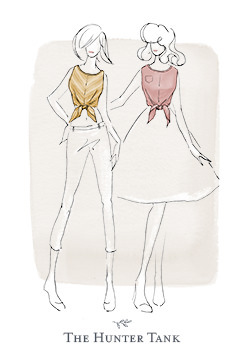 I also love the collar, it is so easy to do but looks more complicated. 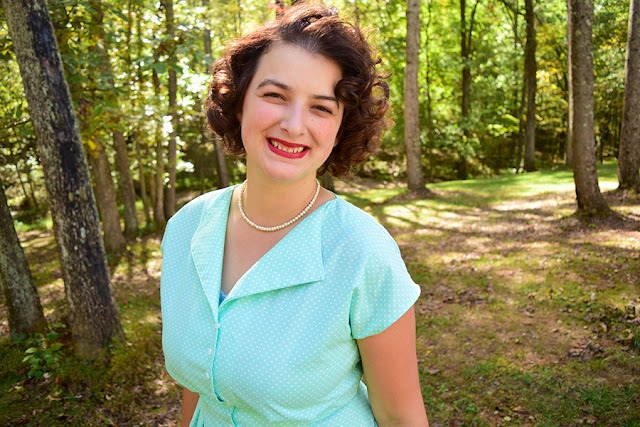 I used snaps in my dress rather than buttonholes, which is an option. I like the way they look and they were pretty straightforward to fit. I didn't need to make any other changes to the dress. It has pockets, which is another feature I look for in a dress. I would recommend Sorrel to a confident beginner. The steps are clearly laid out and straightforward to follow. With a bit of practice with buttonholes, you will be away laughing. Sorrel is a classic dress with a lovely feature collar - it can be dressed up for a lovely summers day or worn with tights and a cardigan on a chilly autumn day. My love is incredibly busy, so making time for sewing and learning new techniques is tough. I try to stick to tried-and-true silhouettes and batch my process out to more efficiently tackle multiple garments at the same time - cut all fabric in one day, finish seams the next, and a few days of sewing/assembly as appropriate for the pieces. I fortunately don't find the structured process takes any of the enjoyment out of sewing. 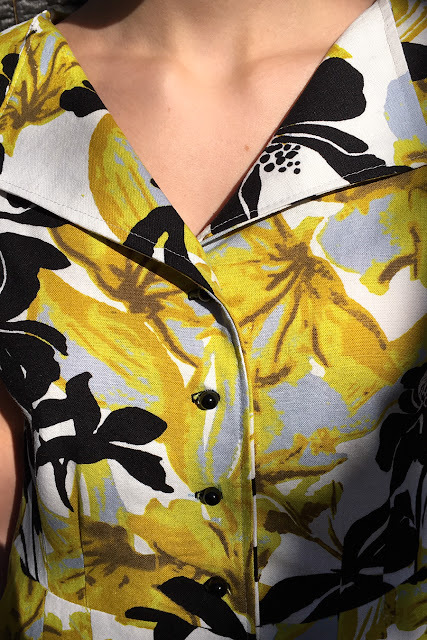 My favourite fabric to work with is usually rayon or viscose blend, though with winter coming up in California, I'm excited to start sewing some warmer pieces with wools - I have a pink coat inspired but the Marvellous Mrs. Maisel on my sewing table next. 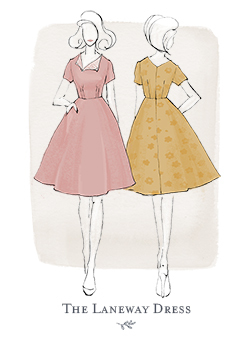 The Sorrel Dress is a vintage-looking silhouette that's incredibly easy and flattering to wear. 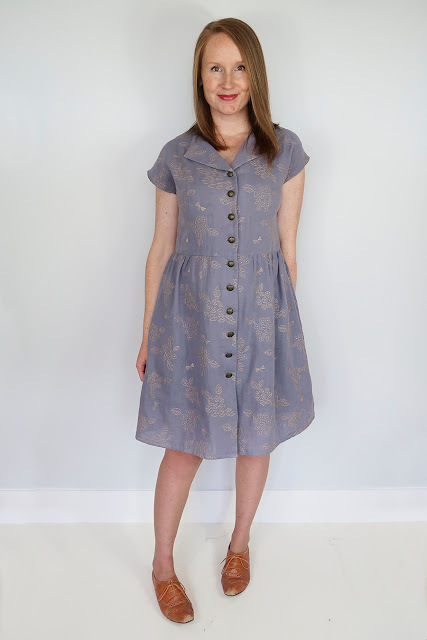 The button/snap closure eliminates the fuss of putting in a zipper but also adds to the more casual look of the dress. 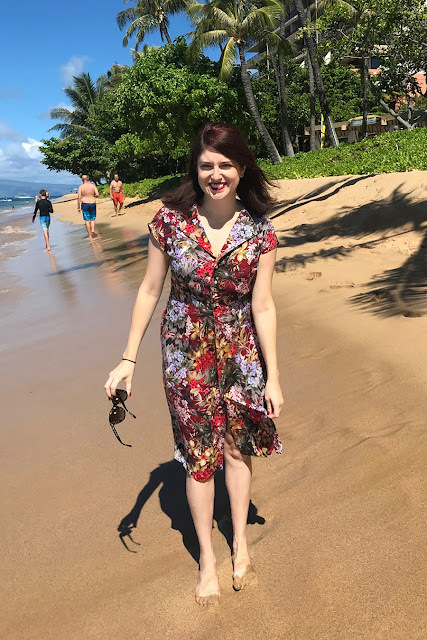 Today I threw mine over a bathing suit and headed down to the beach as we're on vacation in Hawaii (and I received lots of compliments!). 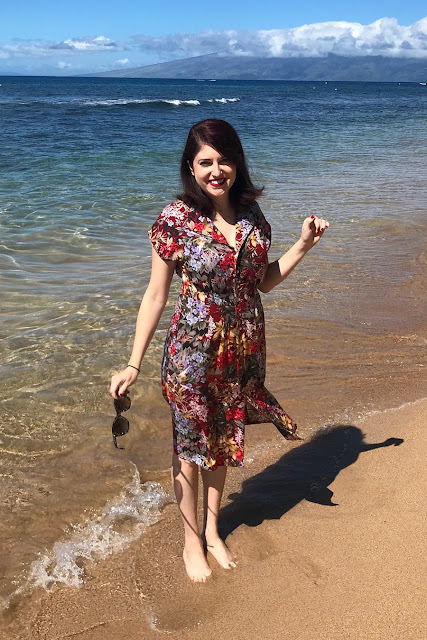 I like to always be polished, and this dress gives me the flexibility to do that while still being comfortable in more casual settings. 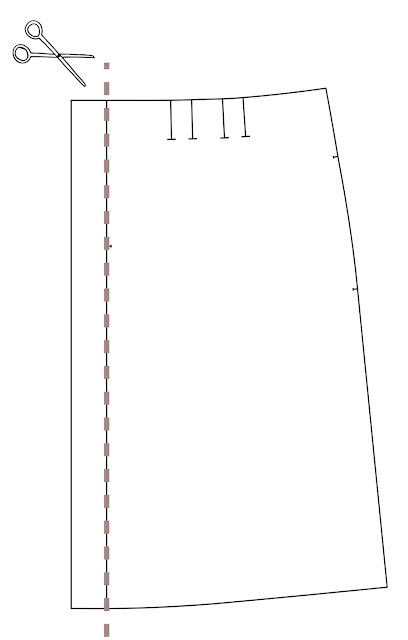 I have a very short torso, so I shortened the bodice and lengthened the skirt hem - these are pretty common adjustments I make to all patterns though. I also chose to use snaps rather than buttons. 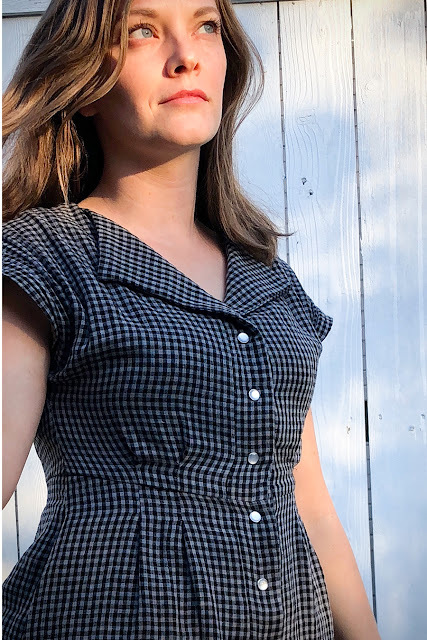 Though I prefer the classic look of buttons, I knew I wanted this dress to function well pool or beach-side and the snaps aided in that both functionally and visually. I also put them a bit closer together than the pattern indicates since I'm on the bustier side and wanted to wear this to the office on casual days without risking accidental flash. 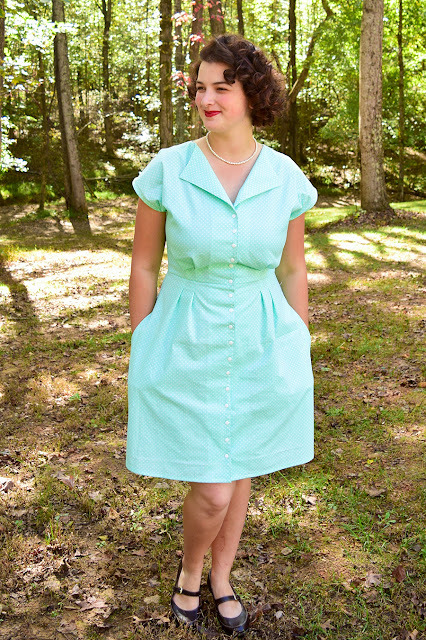 Sorrel is a very approachable skill-wise but with a big payoff - I would recommend this to anyone wanting to try a retro silhouette but who may be intimidated by some of the seemingly more complicated vintage techniques (such as princess seams, extensive pleating, or funky corner seams - all manageable though, I promise!). 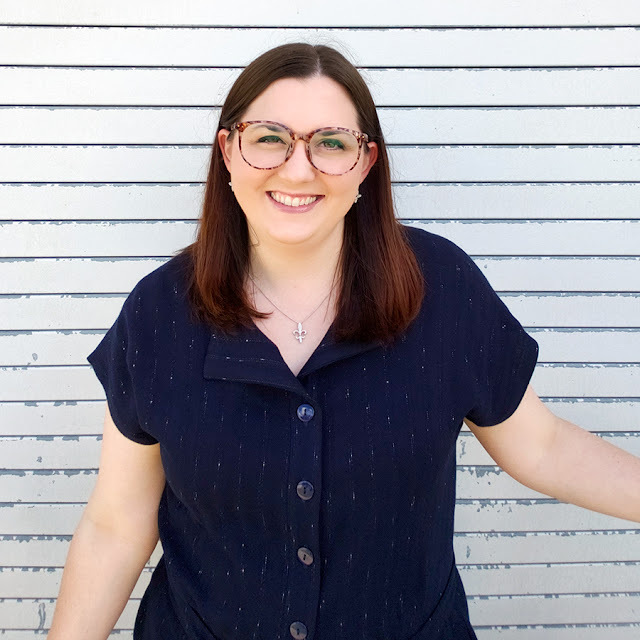 It also still has a more contemporary feel for someone who likes a classic/retro look but doesn't always want to wear a full circle skirt to the office on casual days - like me! My favourite sewing technique at the moment is top-stitching, it gives a really nice effect. My favourite fabrics are denim and viscose. I love the darts, I think they give a really lovely detail to the dress. They can be a bit time consuming but they are a great feature! The sleeves are very flattering too. I made Version 2 this time and went down a cup size for a more fitted bodice. Other than that, I didn't make any changes to the pattern. Now that I've made both versions, I really like Version 2. I would recommend Sorrel to beginners. The instructions are really clear and thorough, there is nothing a beginner couldn't handle, especially as you have the option of snaps rather than buttonholes. The dress is a very flattering shape that can be made out of various fabric types. 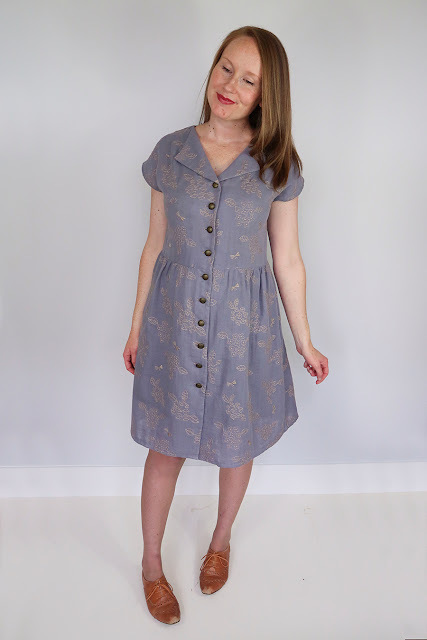 I sewed the dress in a linen fabric and I LOVE it. It manages to look both crisp and relaxed. In terms of my current favourite sewing technique, I think the answer changes on a daily basis depending upon what I'm working on and what is working for me. 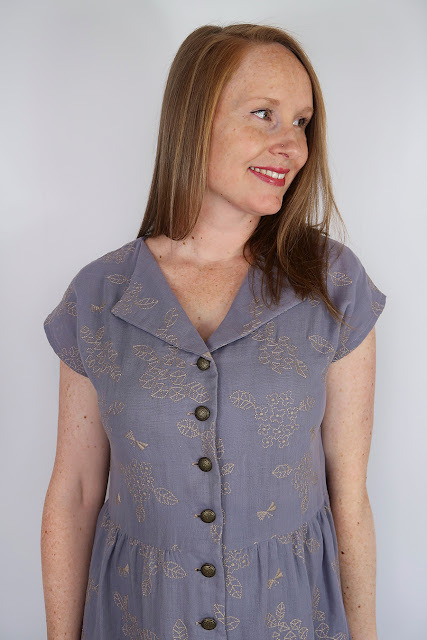 I really enjoyed sewing with the linen, as I mostly sew with knits or stretch fabrics. 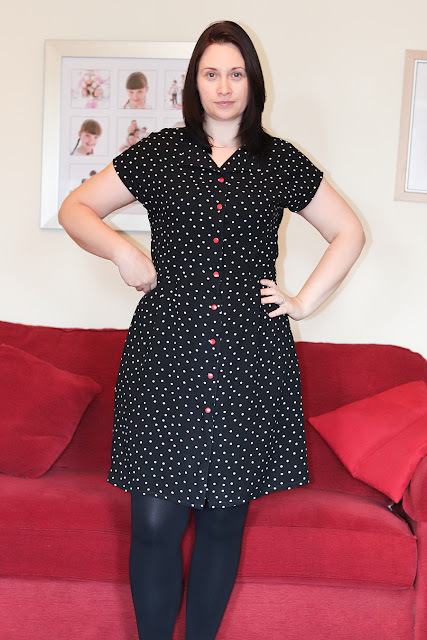 My favourite thing about the Sorrel dress is the pockets!! I also really like the open-ended darts, they are simple and look really good. 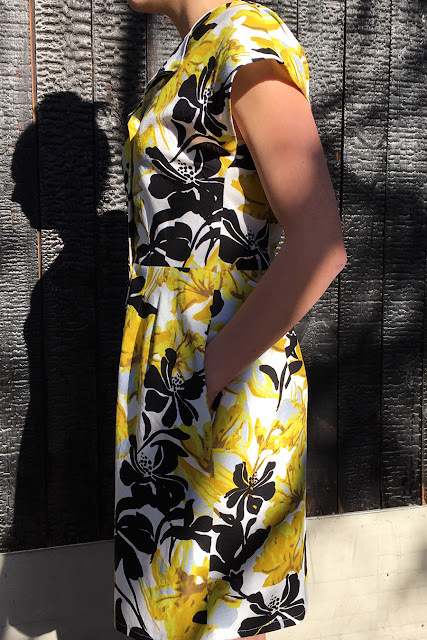 The curved back hemline is very attractive and elevates the dress to look and feel more luxurious. I also loved that there were cup size options - as a small A cup, I find many patterns (and clothes) much too roomy for me, and I end up wearing t-shirts way too often. I only graded the waist to a size 12 after my test dress was just a little tight in the waist-only. 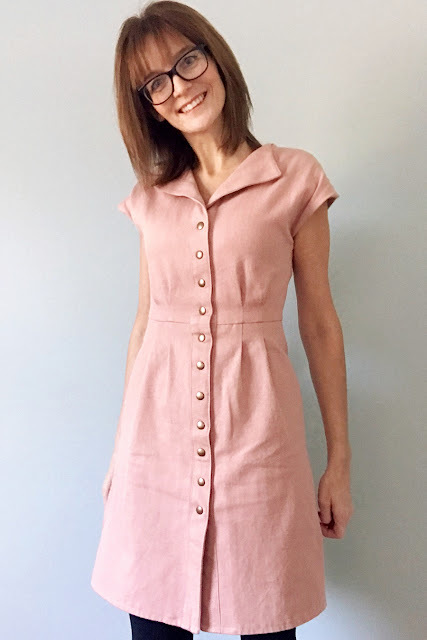 I think this dress could be a great project for a patient beginner, but a little experience would make the process easier of course. I am an experienced seamstress and enjoyed the time I spent with this pattern. It goes together fairly quickly but has fitting details that go beyond the average pattern. 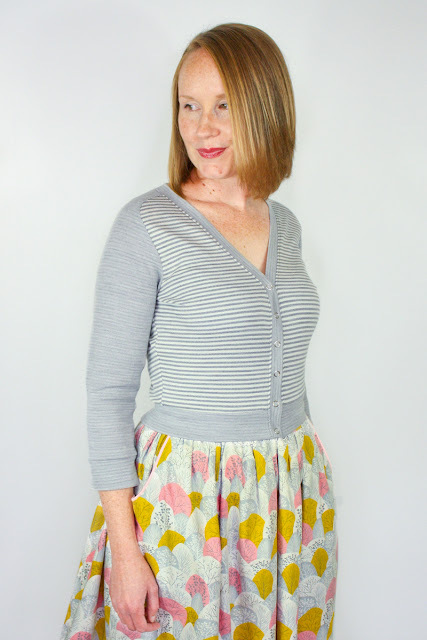 You can support the Sorrel Paper Pattern (and now paper Pippi + Juniper Cardigan patterns) here!